Palimpsesto contains five exceptional new recordings of pieces by the contemporary Spanish composers Hèctor Parra, Elena Mendoza, Alberto Posadas and Juan María Cué, as well as a renaissance piece by Luis de Narváez in a new arrangement by Miguel Pérez Iñesta. The title Palimpsesto derives from the ancient or medieval context of the word that refers to the gleaming through of old and extinguished text layers on a rewritten piece of parchment. Similarly the Zafraan Ensemble under the baton of Manuel Nawri examines the works of the Spanish avantgardists for the influences of their tradition and opens up an excitingly multifaceted soundscape performed with superior brilliance. Further features of Palimpsesto are five poems, including a new creation by poet José Antonio Rodriguez Alva and a music video by Martin Maier for Hèctor Parras Ciel Rouillé. The five art objects of the painter Luis Ángel Prestell that were created as a reflection of the five music pieces serve as a starting material for Fabian Lefelmann’s design. 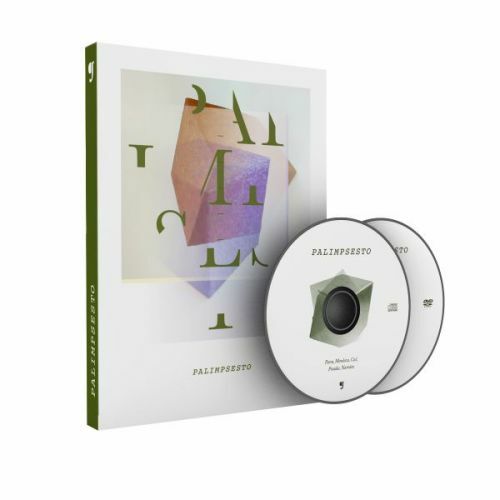 The CD/DVD Palimpsesto is available at Testklang´s Online-Shop and selected stores worldwide.